Have you recently bought a new car and wish you could keep it smelling and looking the exact same way? Then you need to hire a professional cleaning service to take care of it on a regular basis. If you want the best cleaners to be taking care of your car, give us a call as soon as possible. 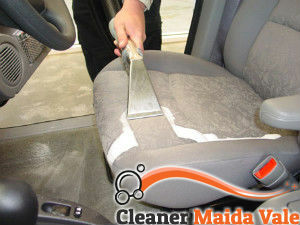 Here in Maida Vale we are a very respected cleaning services provider and we are offering you the best car upholstery cleaning service you can find in town. We are a certified and trustworthy company that guarantees you excellent results. If you are worried that it will cost you too much, and you think you can do it on your own, you are incorrect. 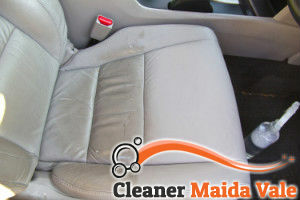 With our considerate cleaning service, you will not have to spend a ton of money on a car upholstery cleaning service. Give us a call if you need such a service to help you maintain your car in a perfect state. We assure you that our cleaners are qualified enough to clean it perfectly, regardless of what fabric it is made of. Our cleaners will deodorise and clean it ideally. Our cleaners are professionally trained to deal with all the different kinds of car upholstery fabrics and the various cleaning problems they might have. Our cleaners clean using steam cleaning machines, that guarantee they will get rid of any kind of stain (the nasty stains are pre-treated), dust, dirt, soil, hair, pet hair, bad odours, etc. You can count on our professional cleaners and their modern technology to keep your car always looking brand new. Give us a call now, we are the best car upholstery cleaning service provider in W9.